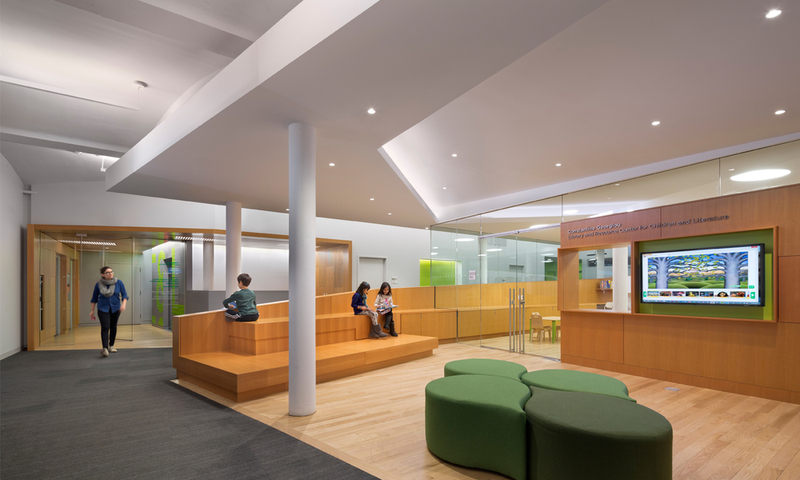 This renovation of over 70,000 square feet of space in NYU’s historic Greenwich Village campus addresses both the shifting programmatic needs of a major academic organization and provides infrastructural upgrades for three aging buildings to meet LEED Gold standards. 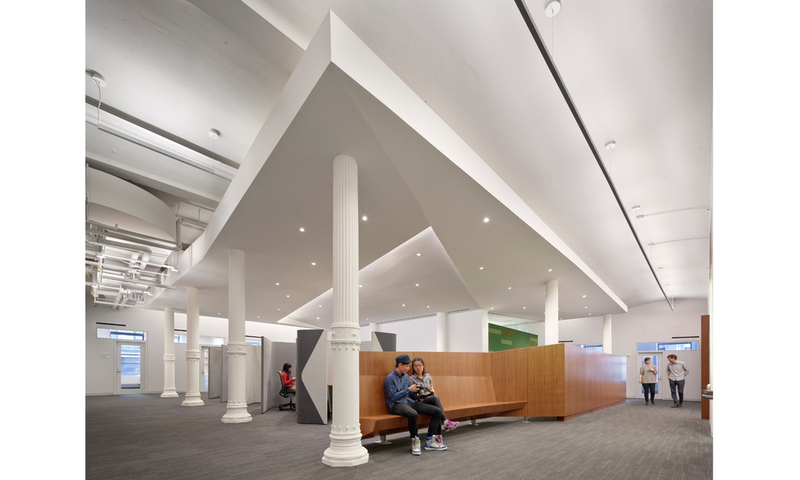 The largest component of this project, the result of a year-long feasibility study, is the gut renovation of the East Building to house three of Steinhardt’s premier departments on seven contiguous floors and provide a consolidated institutional identity for the School. 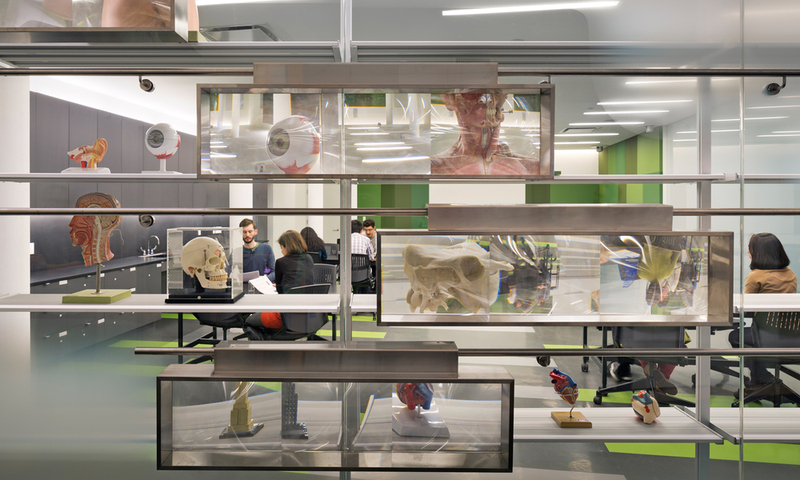 Combining faculty offices, meeting areas and a series of unique functional spaces, the design maximizes exchange and interaction among faculty, students and staff. Each floor is organized as a perimeter of offices and an internal core. While the perimeter offices are strategically arrayed to allow for the infiltration of daylight, the cores are developed as architecturally recognizable features with unique programmatic identities that allow for gathering and collaboration. The interaction between core and perimeter activates the hallways while the sculpted ceiling at each core allows for indirect lighting and spatial definition of multiple functions. 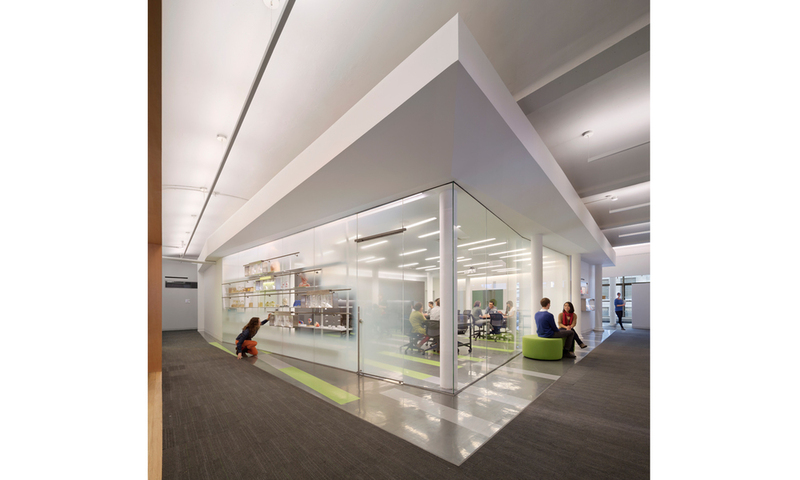 On the uppermost floor, the ceiling is shaped to respond to a series of existing skylights, providing controlled natural illumination for the student lounge below. 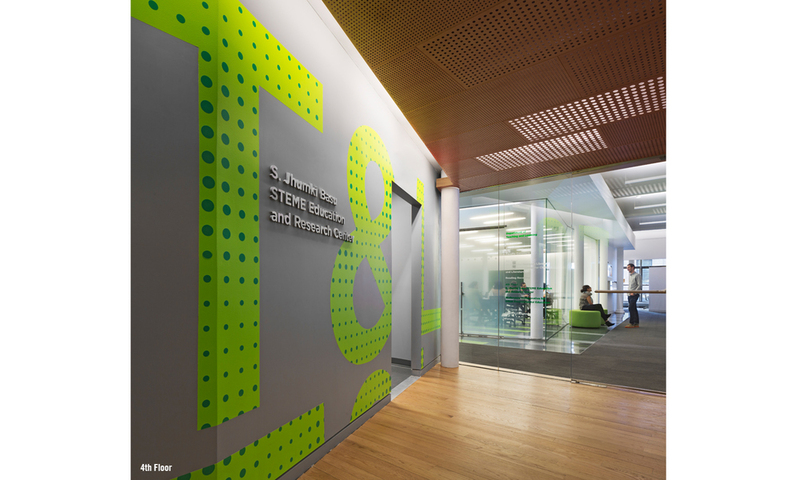 LEED consultant: Steven Winter Associates, Inc.
Dorris, Jesse. "Core Curriculum." Interior Design. March 2015.